In recent years, because oil prices continue to fall. PET bottles of new materials and old materials prices have been reduced by 50%. 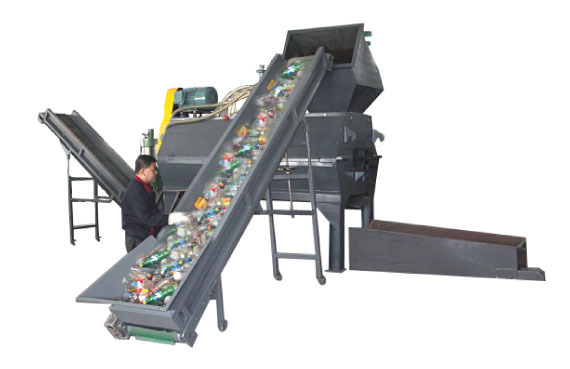 Which makes a lot of local PET bottle recycling blocked PET bottle recycling line, a large number of PET bottles are no longer recycled, but was abandoned. This poses a great deal of harm to the environment. However, in Germany is another scene. Although the price of PET bottles between the old and new materials have been almost. However, through years of environmental education, in Germany, ordinary people have formed a good PET bottle recycling habits. The waste PET bottle into the recyclable trash According to the relevant data show that in 2015 the recovery rate of PET bottles in Germany was 93.5%. The recovery rate of disposable PET bottles was 97.9%. In contrast, the United States in 2015 PET bottle recovery rate of only 30.1%. The study also shows that most of the recycling takes place in Germany. This fully demonstrates the importance of environmental education for the general public, even in the market waste recycling stations have abandoned PET bottles recycling, the market is blocked, such as Germany, the country still through the people to achieve high recovery.